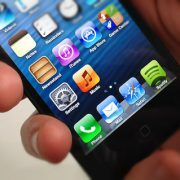 Apple has revealed a very serious flaw in the way its iOS devices (iPods, iPads, iPhones) handle secure connections, specifically when your device is connecting to a server via SSL (“https://”) or TLS connections. This vulnerability, just revealed and patched by Apple last Friday, allows for an attacker to create a “man in the middle” situation to simulate that your device is connecting to a particular site when in fact you are not. If your device is vulnerable, avoid using public WiFi and update your device as soon as possible.